The clock is one of the ancient human creations, one that we can’t live devoid of. Clocks don’t get much of the attention. Wall clocks are the everlasting ornamental component and they remain to be used in any homes. The best thing about the beautiful big wall clock is that their design and model is so modest and flexible that it can be modified to compete any sort of home scheme and any room of your home. Here at Renopedia, take a look at some inspiring wall clock designs which can really add an appealing charm to your home designed by our expert interior designers. Incorporate your home with a charismatic wall mounted clock, the large modern clock can really give a striking appeal to your feature wall with complementing TV wall designs. 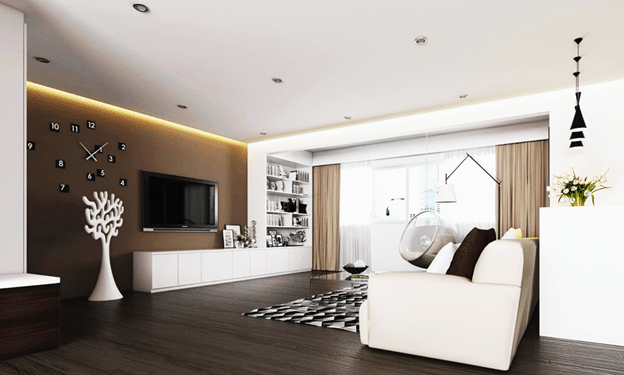 The entire neutral color theme makes this room flawless. 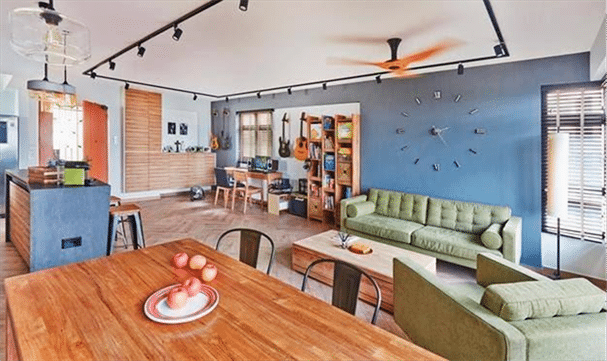 The blue feature wall against the appealing olive green sofa beautifully decorated with large spectacular clock, the entire wooden theme of this home with colorful accents makes this home stunning designed by Fuse Concept. 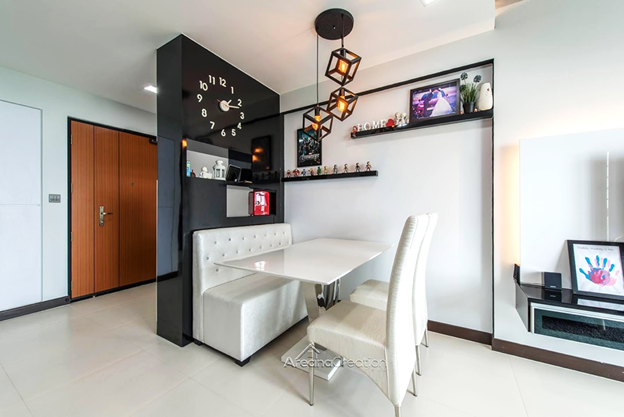 The minimal feature of this wall clock makes this home stunning, the white and black theme with the perfect flow of furniture and rustic appeal makes this home fabulous designed by Chapter One Interior Pte Ltd. 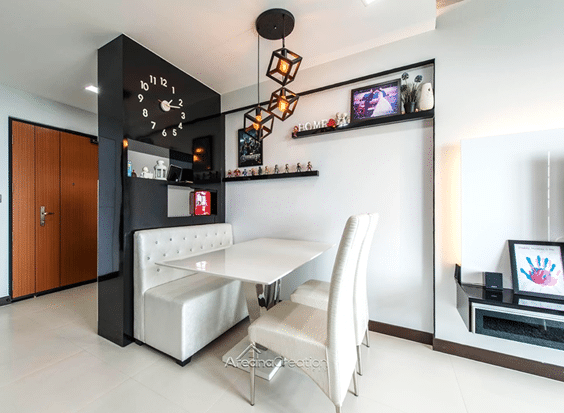 Consider this charming wall-mounted clock with beautiful black features at the dining area, this wall clock design adds a unique feature to this place designed by Areana Creation with the complementing beautiful small dining table. 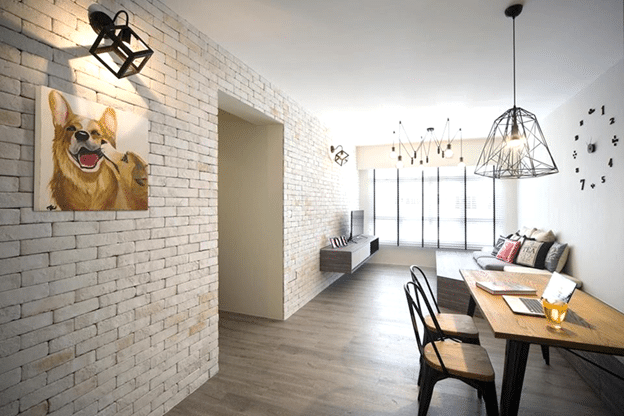 The beautiful wall clock at the door truly adds a unique feature to this area with a perfect living room design which you must consider for your home.